Martin Melin has been a policeman for 22 years, but he is mostly known as the world’s first winner of Survivor (or Expedition Robinson as the Swedish TV show was called) and the crime writer Camilla Läckberg’s ex-husband. It is possible that his familiar face made it easier to get a foot in the publisher’s door, and I must admit that I was a little suspicious at first, but after having read the book it is clear that Martin Melin can put author on his resume with a good conscience. Thomas Hallgren, the main character, has followed in his father’s footsteps and become a policeman and we get to follow his first experiences on the job. His superior officer Jan Mårtensson worked with his father and becomes his mentor. Thomas quickly realizes that what he learned at the Police Academy does not always correspond with reality. An internal investigation is initiated after a hooligan fight and it makes him doubt if he chose the right career. Around the same time, his wife becomes a witness to an assault, but she does not tell him, which leads to some unwanted consequences. 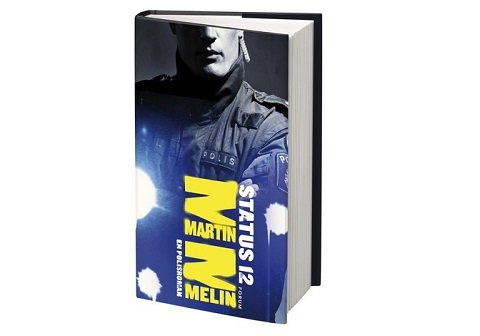 With Martin Melin’s background I am confident that the police setting is described correctly, and it also makes you wonder how much of the plot is based on real events. The novel contains a lot of dialogue and at times it is difficult to follow, but you get used to it. Just as Läckberg’s novels, it is an easy read and a sequel is already in the works. There is no doubt that Melin will get plenty of faithful readers as well. But I cannot seem to figure out what Status 12 really means, that the mission is accomplished, or?